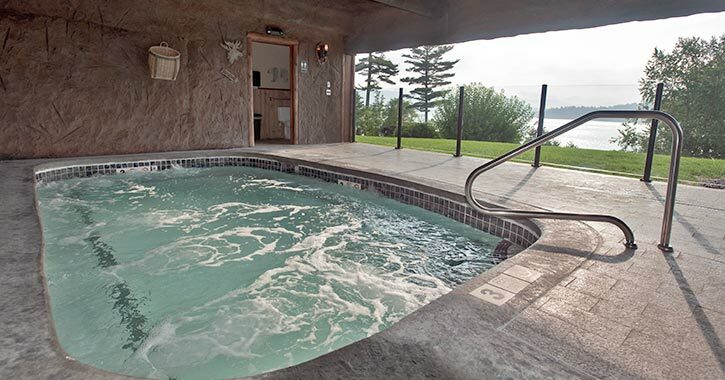 When you’re looking to live the lake life during your Lake George getaway, The Lodges at Cresthaven is the place to be. This renowned waterfront resort features luxurious townhouse units and an ever-growing list of premier amenities. Over the past year, the resort underwent a major amenities project that included the construction of a new lakeside lounge, sports court, and more. Get a sneak peek at what you can expect to see next time you’re at The Lodges! 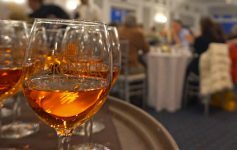 Out of all the new amenities at The Lodges at Cresthaven, the lakeside lounge may be the most exciting for guests. 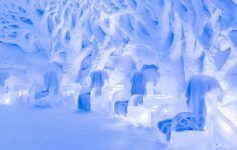 This unique resort attraction consists of two spacious sundecks complete with comfortable patio furniture and an outdoor fireplace that will keep you feeling warm and cozy. These sundecks are the perfect places to mix & mingle and take in the breathtaking view of the lake and mountain landscape. You simply can’t beat lounging by Lake George. Whether you prefer sunbathing and swimming at the beach or taking a dip in the pool, The Lodges at Cresthaven has you covered. 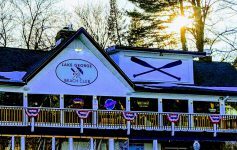 Not only do guests have access to the private 300’ sandy beach on Lake George, but the property’s state-of-the-art indoor/outdoor pool facility has been given a modern makeover. The facility’s indoor pool directly connects to the big outdoor pool, which lets you swim back and forth between the two. Both are heated and open seasonally, and the outdoor space also has a small kiddie pool that is just 1 foot, 3 inches deep. During their recent property-wide upgrade, The Lodges at Cresthaven renovated the entire facility and gave it new life. The pools now have brand new tiled concourse and a better surrounding deck area. Go for a swim and look forward to feeling completely refreshed. 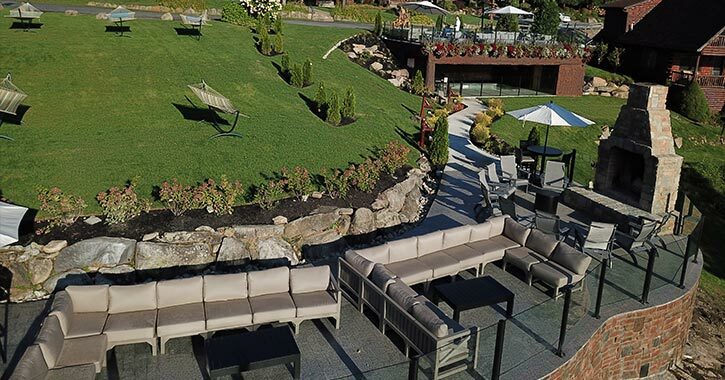 Nestled underneath one of the sundecks in the lakeside lounge, the new grotto has an oversized hot tub that can accommodate 12-20 people, and is for adults only. This amenity will be open seasonally during the warmer months for guests seeking rest and relaxation in a comfortable atmosphere. Step inside and let the day’s stress wash away. 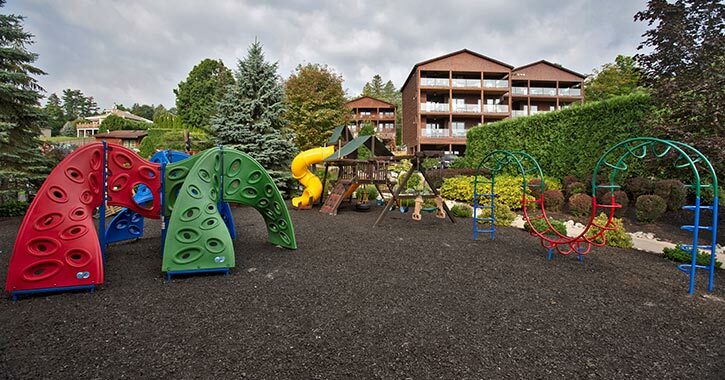 Cancel that trip to the recreational park; there are now more ways to play right at The Lodges at Cresthaven. 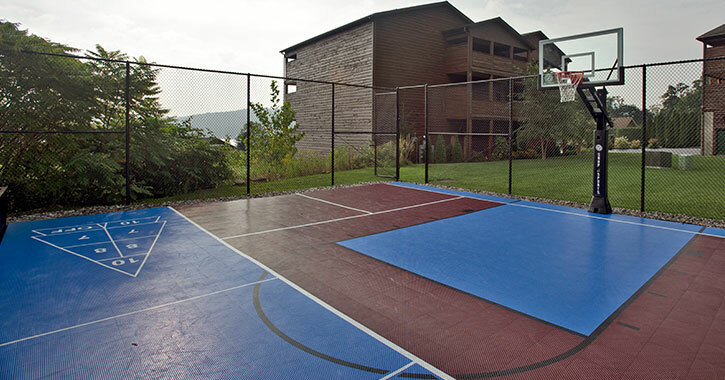 As part of their amenities project, the resort installed a new sports court near the Oak Tree Lodge at the top of the property. The fenced-in sports court allows for multiple activities in one area, including shuffleboard, pickleball, and basketball. You can’t go wrong with taking part in a little friendly competition during your vacation. The basketball hoop is available for 3×3, a round of H.O.R.S.E., and any of your other favorite games. Or, you can try your hand at one of the fastest-growing sports in America – pickleball. While a visit to the sports court is a great way to stay active, that’s not all there is to do! In addition to these new activities, The Lodges at Cresthaven features a volleyball court, a bocce ball court, and a horseshoe pit. Are you ready to play? When you think of a children’s playground, you probably imagine a combination of colorful slides and swing sets. The Lodges at Cresthaven’s playground has had both over the years, but the attraction mainly catered to younger kids rather than pre-teens. To make the playground more accommodating for kids of all ages, some awesome features and equipment have been added. For starters, there are a variety of new climbing walls and structures for pre-teens to scale, as well as a double hump playground ladder (think monkey bars with arches). Your kids will have a blast climbing, hanging out on the wooden ship or firetruck, and exploring everything the playground has to offer. To complete the renovations, better seating and lighting have been installed at the playground to really make it a welcoming place for parents and their kids to have fun. A key goal of The Lodges at Cresthaven’s project was to provide premier amenities for all ages and really enhance the overall guest experience. 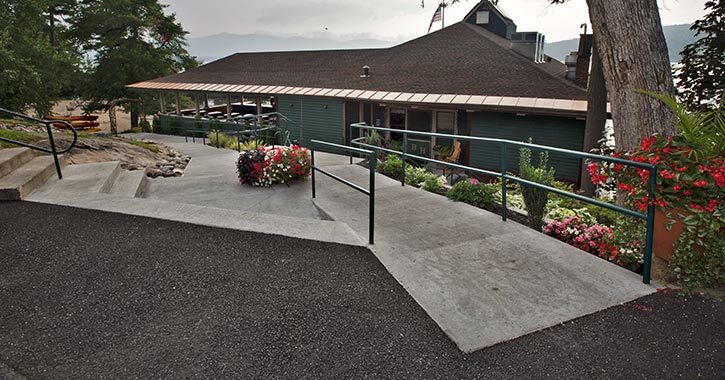 As a way to bring the whole property together and improve accessibility, improvements have been made to the walkway leading down to the sandy beach and Boathouse Restaurant. Since the resort is located on a hill, in the past it may have been difficult for some guests to walk from the top of the property down to the shoreline. However, thanks to the new cement, handicap-accessible path, that should be much easier for everyone. Rails and additional landscaping around the walkway have transformed the look of the downhill area. 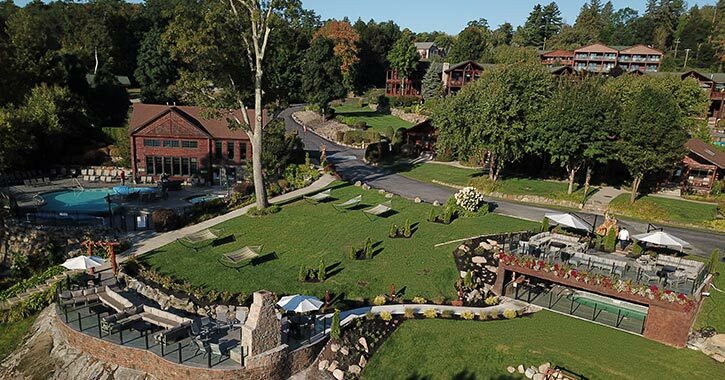 Ideal for family vacations and private getaways, The Lodges at Cresthaven continues to grow and offer guests an all-inclusive resort experience in Lake George. 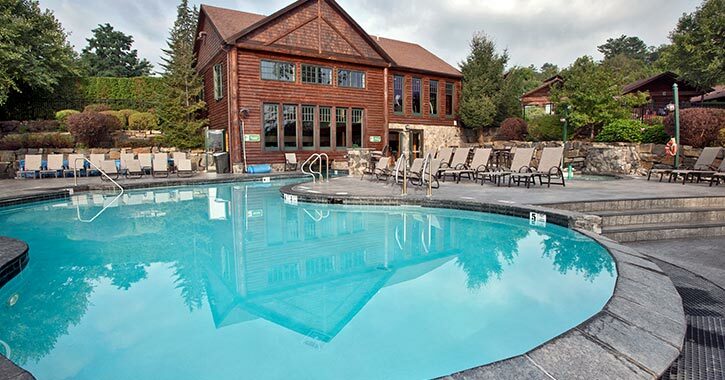 Whether you want to swim in the summer, see the leaves during fall, or even warm up by the fireplace in winter, this is one place that has it all. Book your next getaway and enjoy your time by the lake.